With around 10 weeks to go until Christmas, auction clearance rates remain steady and the market continues to experience outstanding selling opportunities. 2016's shortage of stock has driven prices up by 15-20% in particular areas. As October already seems to be flying by, there is limited time to capitalise on the market's generosity towards sellers. 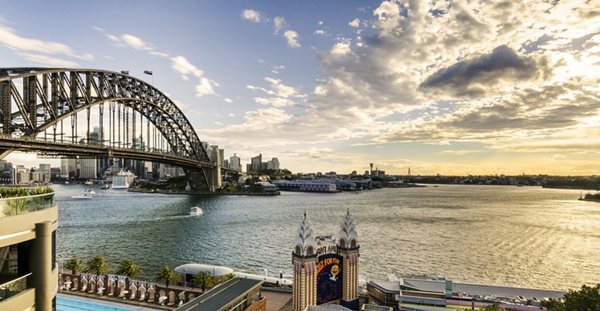 Milsons Point's newest development is rapidly establishing its local footprint, appealing to those seeking modern luxury and world class location. This two bedroom, two bathroom opportunity provides a contemporary layout with north easterly aspect and partial water views towards Kurraba & Cremorne Point. * Please note the images shown are computer generated, and may not accurately represent the finished development. Contact Chris Bell for more information. We've secured around $10 Million in exchanged contracts over the past few weeks - most of which has taken place in off-market negotiations. This sub-penthouse is another building record and shows the true strength of our database, effectiveness of strategy, and commitment to working for our clients. We have some exciting new properties coming available throughout the next fortnight. Combining spectacular views and privacy, this dominating sub-penthouse apartment boasts a universally functional three bedroom layout with world class outlook. Intimate views include the Harbour, Lavender Bay, Sydney and North Sydney CBD's, as well as the picturesque backdrop of the mountain horizon. Strata levies approx $3740 p/q. As you know, many sellers are hesitant to go "on the market" in the winter months.. The vendors of this property were no exception. However, we continue to see that the current shortage of stock has positively influenced buyer demand well beyond expectation.. and sellers are celebrating! If you are considering going to market, ask me to send you the online statistics from this campaign, which show our ads received over 14,000 views, compared to a market average of 2,600. Conveniently positioned within Block A of the prestigious Portofino complex, this low maintenance three bedroom home offers huge opportunity to families seeking a private, yet panoramic, harbour-side vantage point.